Monday at Vermilionville Living History and Folk Life Park, Lafayette Middle School eighth graders got a unique learning experience. It’s called Veep, Vermilionville Education Enrichment Partnership. 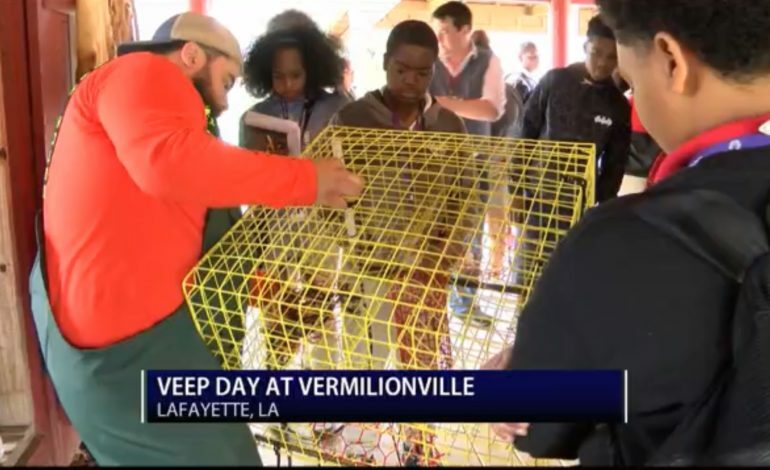 University of Louisiana Lafayette education students create and then teach lesson plans that incorporate Vermilionville. The lessons are also in line with Lafayette Parish School System’s third and eighth grade curricula. VEEP happens quarterly with various Lafayette Parish schools.